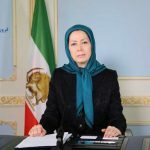 On Wednesday, March 27th, Mrs. Maryam Rajavi, President-elect of the National Council of Resistance of Iran, issued a statement to the people of Iran who have been devastated by the catastrophic flooding in 30 of the nation’s 31 provinces. 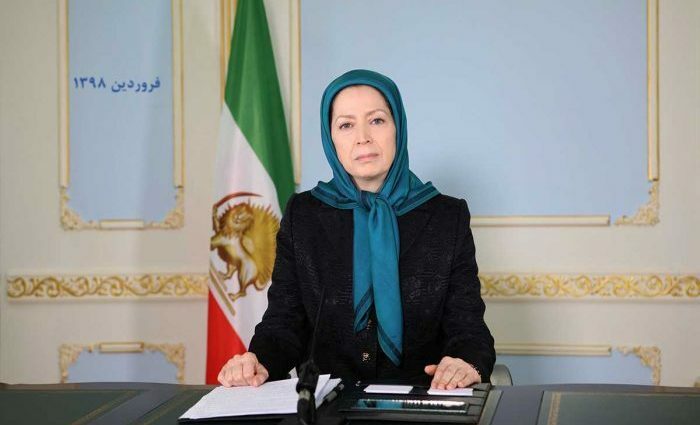 Mrs. Rajavi joined the people in condemning the regime for its role in exacerbating the severity of the flood’s destruction through its “overwhelming corruption and crimes.” She then enumerated some of the decisions that led to disastrous consequences. “The corrupt mullahs have inflicted this catastrophe on Shiraz and its valiant people,” Mrs. Rajavi explained. “They destroyed the channel which used to lead flood waters out. In the dry seasonal river bed beside Darvazeh Quran, they built urban facilities to gain huge profits for themselves and their accomplice. “In Golestan Province, it has been several years that they have failed to dredge the Gorgan River. They have destroyed vast parts of the forests and pastures, and they have evaded to drain the farms and manage the watershed. “In other cities, they have constructed buildings in the periphery of rivers or have blocked the natural paths of rivers. In implementing such a corrupt policy, they have taken over, damaged or sold river banks, seashores, foothills of mountains, and jungles which are public properties,” she added. Rajavi expressed her condolences to the families of the victims of the flood in Shiraz and other provinces and offered prayers for those who were injured. She also restated her previous call to the people of Iran to work together to help those affected by the flood. “The only way and the best way is that we help one another,” she said. “No one and no other power is more effective and more accessible than the power of solidarity among us. Mrs. Rajavi urged the Iranian people to unite in their sorrow and rebuild the country together. “Let us build with our tears and sorrows a force of sympathy and unity against the mullahs. In these difficult days, rely on one another and let people rely on you. Take one another’s hand and let us come together to advance our plans for a free and prosperous Iran,” she concluded. The regime’s response to the floods has been widely criticized. Flood victims across the country are still waiting for assistance, and government officials have not published accurate information about the disaster. Regime officials cite the number of deaths as 19, but numerous eyewitness accounts and reports from all over the country put the numbers at well over one hundred. 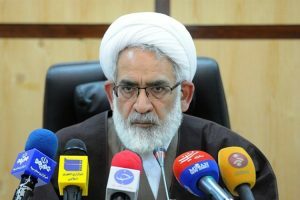 On Wednesday, regime Attorney General Mohammad Jafar Montazeri said that anyone who publishes “fake” news about the flood will be identified and dealt with. Colonel Ramin Pashaie, the Social Deputy of the Iranian regime’s FATA (Cyber Police) made a similar statement, which was carried by the state news agency, ISNA news agency. “We have asked all provinces to monitor the Internet and if they witness any rumors or content that disturbs public opinion or social peace, to quickly carry out necessary measures to deal with the publishers once identified,” he said.